All pools age and leaking coatings or pipes are often the reason for renovation. There may be only the liner to change, but sometimes the renovation has some surprises. Indeed, on each basin to be renovated, the first intervention is to put under pressure all the pipes to detect a possible leak. Then we inspect the basin, the structure, the parts to be sealed which with time become brittle. It is often recommended to replace them so that they follow the life of the future coating. Aloha Piscines can intervene on all your renovation needs. 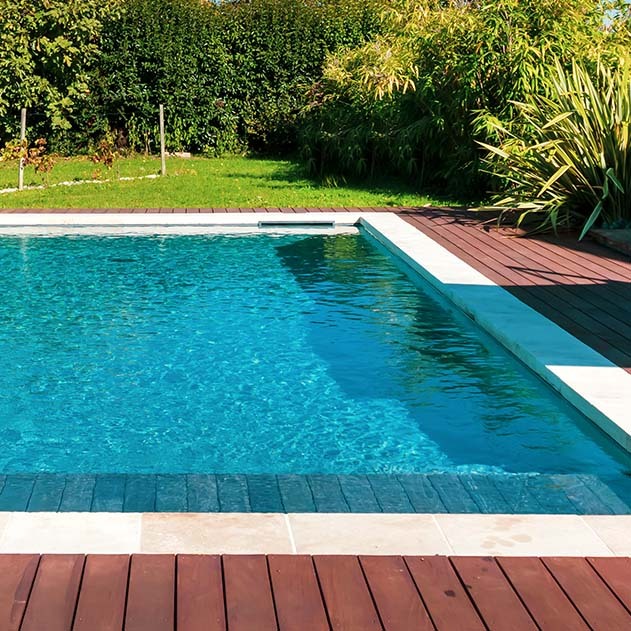 Anxious to respect your expectations and your criteria, we will bring you concrete and effective solutions so that you can enjoy your pool, without breaking the bank and your dream does not turn into a nightmare. All pools age and leaking coatings or pipes are often the reason for a renovation. It is even possible to change the shape of the pool, the size, create a staircase, planters, waterfalls or water games ... The swimming pool renovation offers countless possibilities, the only limit being your imagination!